When was Music invented? Historians tend to agree that music was invented in c. 3000 and its first known use during the Stone Age (3000 - 1800 BC) of invention. Who invented Music? The invention of music is so old that the name of the inventor has been lost over time. However, the invention of modern musical notation, written music, is attributed to the Italian monk and musician Guido d’Arezzo (c.992 – c.1050) in about the year 1000AD. 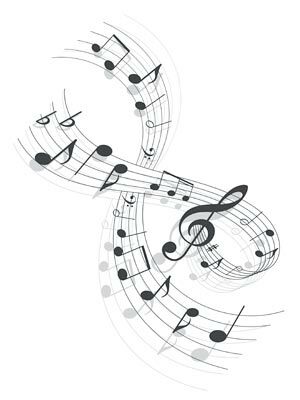 Definition of Music: Music is defined as the sounds produced by singers or musical instruments through melody, harmony or rhythm. Popular music styles and genres include classical, opera, folk, country, rock, pop, jazz, reggae and electronic music. Fact 1: Who invented Music? The name of the inventor of Music is unknown but it is believed to have been invented in c. 3000 during the Stone Age (3000 - 1800 BC) era of inventions. Fact 2: Who invented Music? Evidence of the oldest type of music have been found in ancient caves and rock art in the form of drums, horns, shell, stone and and bone flutes. The purpose of creating ancient music is most commonly associated with successes in hunting, religious rituals and victories in battle. Fact 3: Who invented Music? Many historians believe that the Didgeridoo, a wind musical instrument invented by the Aboriginal indigenous people of Australia, is the world's oldest musical instrument, dating back at least 40,000 years. Fact 4: Who invented Music? The didgeridoo was traditionally made from eucalyptus tree trunks and used as an accompaniment along with chants in sacred ceremonies. As the ancient didgeridoo evolved it was decorated picture symbols reflecting the identity of the clan, birds, animals and star constellations. Fact 5: Who invented Music? The prehistoric Native American Indian tribes developed a variety of percussion and wind instruments that were used in important ceremonies before and after battles or in rituals relating to mourning or marriages that were often accompanied by feasting and dancing. Shamans and Medicine Men also used music during healing ceremonies and when administering healing herbs to the sick. Fact 6: Who invented Music? There was no written music or musical notation, notes were not documented and music was learnt by ear and memorized. Fact 7: Who invented Music? Stone Age musical instruments developed into flutes made of wood and the Bronze Age (1800 - 600 BC) saw the invention of the first metal wind instruments such as trumpets. Fact 8: Who invented Music? The Ancient Egyptians, like the other major ancient civilizations, developed a whole host of musical instruments and their music provided a focal point at banquets and religious ceremonies. They used percussion, wind and stringed musical instruments. Their percussion instruments included hand-held drums, Tambourines, Cymbals, Rattles including the sistrum and bells. Their wind instruments included a trumpet called the Hasosra, a vertical flute called the Ugab, a horn called a Shofar and Ancient Egyptian versions of the clarinet (Zummara) and oboe. Their stringed instruments included the harp, the lyre (Kithara) and the lute (Oud). Fact 9: Who invented Music? The earliest form of musical notation (written music) can be found in a cuneiform tablet that was created in about 2000 BC, one of the famous Mesopotamian Inventions. Fact 10: Who invented Music? Musical Instruments mentioned in the Bible include harps, lyres, reeds, pipes, cymbals, flutes, rattles, shakers, drums, timbrels, tambourines and trumpets. Fact 11: Who invented Music? The Ancient Greeks also developed a form of musical notation that evolved over a period of more than 500 years starting with simple scales. Alypius of Alexandria c. 360AD was an early Greek music writer (composer) who wrote the famous work 'Introduction to Music' flourished c. 360. Fact 12: Who invented Music? The Ancient Egyptians and Greeks passed on their knowledge of music notation to the Romans, and with the advent of Christianity, it spread across the Roman Empire. Fact 13: Who invented Music? Much of the knowledge was lost during the Dark Ages (400 AD - 1066 AD) but religious music flourished and a form of neumatic notation (various symbols representing from one to four notes) began to develop in European monasteries in the 9th century to help monks remember the music of their Gregorian chants. Fact 14: Who invented Music? Symbols called 'neumes' were used by the monks formed the basic element of Western systems of musical notation and this form of written music was used during the Middle Ages. Neumes were written on a four-line staff on the lines and spaces, unlike modern five-line staff notation. Fact 15: Who invented Music? The invention of of modern musical notation and the four-line staff is traditionally attributed to the Italian monk and musician Guido d’Arezzo (c.992 – c.1050) in about the year 1000AD. Fact 16: Who invented Music? The standard five-line staff appeared in about 1200 in polyphonic music, in which two or more tones sound simultaneously. The five-line staff shows up somewhere around the 13th century. Fact 18: Who invented Music? The triangle was introduced in the 14th century as a new percussion instrument and some new musical instruments were added to the wind category. Famous wind instruments of the Middle Ages included Flutes, Trumpets, pipes, the Shawn, the Recorder, the Bagpipe, the Crumhorn (Curved Horn), the Gemshorn and the s-shaped Lizard horn. Fact 19: Who invented Music? During the Elizabethan Era the early version of the Violin was introduced and keyboard musical instruments such as the spinet, harpsichord, organ and the virginals produced more refined sounds. New stringed instruments were introduced such as the spinet, harpsichord and the virginals provided the sounds which produced a much more refined sound than had been produced during the Medieval era. Dulcimer, the Psaltery and the Hurdy-gurdy. Fact 20: Who invented Music? The Baroque period (1600-1750) is characterized by strict classical musical forms and highly ornamental works by composers such as Bach, Handel, and Vivaldi and Bartolomeo Cristofori invented the Piano c.1709. Fact 21: Who invented Music? The classical period features lighter, less complex melodies composed between about 1750 to 1820 by composers such as Wolfgang Amadeus Mozart and Ludwig van Beethoven. Fact 22: Who invented Music? The Romantic Period (1830 to 1900) saw composers like Chopin, Liszt, Wagner, Vivaldi, Verdi and Tchaikovsky expressing strong emotions through their works. To reflect the magnificent sounds orchestras became much larger during this period. Fact 23: Who invented Music? During the early 1900's opera and concertos became increasingly popular by composers such as Bach, Puccini and Stravinsky. Fact 24: Who invented Music? 1910 - 1920 saw the emergence of genres such as Blues, Ragtime and the Jazz age. This period also saw the beginning of Country Music in the Southern states of America. Fact 25: Who invented Music? In the 1930's jazz evolved into big band swing music became popular featuring big bands led by artists such as Glen Miller, Duke Ellingto, Count Basie and Tommy Dorsey. Fact 26: Who invented Music? The strong beat of African-American Rhythm & Blues or R&B began in the 1940's sung by artists such as Charles Brown, Ray Charles, Count Basie, the Inkspots and Cab Clloway. R&B was influenced by spirituals, gospels and the storytelling essence of American folk and country music. Fact 27: Who invented Music? Adolph Rickenbacker invented the Electric Guitar in 1956 and the 1950's heralded the beginning of guitar driven youth culture of Rock n' Roll pioneered by artists such as Jerry Lee Lewis, Elvis Presley, Chuck Berry and Little Richard. Fact 28: Who invented Music? The youth culture of American Rock n' Roll inspired artists from around the world and especially those in Britain. The 1960's saw an explosion of British talent and new styles of popular music led by the Beatles, the Rolling Stones, the Kinks and the Who who used distinctive chord sequences, rhythmic guitar work, vocal harmonies, imaginative lyrics that reshaped pop music. Reggae and Ska originated in Jamaica and popularised by artists such as Prince Buster and Bob Marley. Soul music produced by American Soul artists and folk music protest songs by poets like Bob Dylan emerged as a backlash to the Vietnam War. Fact 29: Who invented Music? The 1970's witnessed the rise of anti-establishment musical genres such as Funk, Hip Hop and Rap and the harsh lyrics and sounds of Punk Rock. During the 1980's other genres emerged such as Disco music and dance-pop, electronic music and Heavy Metal. Fact 29: Who invented Music? The 1990's saw the emergence of Teen Pop, Grunge and House . No particular new genres or musical trends have really emerged during the 2000's with elements of all past genres finding their way into modern music.